The St. Louis Blues were named after W.C. Handy’s song Saint Louis Blues. Founded as an expansion team in 1967, the Blues compete in the Central Division of the Western Conference in the National Hockey League (NHL). The Chicago Blackhawks who also compete in the same division are the Blues’ biggest rivals. The Blues remain the oldest active-NHL team never to have won the Stanley Cup, however, they have played in three consecutive Stanley Cup Finals (1968, 1969, 1970). During the 2018-19 NHL season, the franchise is banking on their top five prospects, namely Tage Thompson, Jordan Schmaltz, Jordan Kyrou, Zach Sanford and Ivan Barbashev, to help the Blues win its first Stanley Cup. To support them, get your St Louis Blues tickets from here. The First – It was October 11, 1967, and the Blues were playing their very first regular season game on their home field, the St. Louis Arena against the Minnesota North Stars. They played to a 2-2 tie. The Blues at the time boasted a lineup of debutants such as Brothers Barclay and Bob Plager. These veterans would help the Blues reach the Stanley Cup Finals in both the franchise’s and their debut season in 1967. When the Blues Swept the Hawks – On April 25, 1993, the Blues were up against their arch rivals, the Chicago Blackhawks. It was Game 4 of the first round of the playoffs. The Blues had the home field advantage and they made the most of it. Defeating the Hawks 4-3, the Blues swept the Hawks four games to none. It was the first time the Blues defeated the Hawks in the playoffs. The Come Back Blues – The Blues pulled a miracle on November 29, 2000, at the Toronto Maple Leafs home field, the Air Canada Center. The Blues came back from a 5-0 deficit in the third period to beat the Toronto Maple Leafs 6-5 in overtime. It was only the second time in NHL history that a team had come back from such a large deficit in the third period to win a game. St. Louis Blues Archrivals – The Blues most significant rivalry is with the Chicago Blackhawks. It is also a fan favorite and one of the best in the NHL. It may not have the same historical significance due to the Blues being a relatively younger team, nevertheless has produced some of the fiercest games on ice. Chicago Blackhawks – This Blackhawks Blues rivalry began when the Blues entered the same division as the Hawks in the 1970-71 season. It reached its peak during the late 80s and early 90s. During this time, they met in the playoffs five times in six seasons, turning their rivalry into pure hatred. In the playoffs, the head to head score stands at six wins for the Blues and seven for the Blackhawks. The St. Patrick’s Day Massacre – This one game specially stands out in the history of Blues-Hawks rivalry. The game was played on March 17, 1991, at the Chicago Stadium and though the Hawks defeated the Blues 6-4 and won the President’s Trophy, it was overshadowed by the brawl that took place on the ice. It resulted in a total of 278 penalty minutes, which included 24 minor, 12 major and 17 misconduct penalties. At present, ice hockey analysts are of the unanimous view that while hatred may have simmered down, but there is still plenty of hostility left in the Blackhawks Blues rivalry. The St. Louis Blues are the most celebrated NHL franchise never to have won a Stanley Cup. However, it has been able to play in three consecutive Stanley Cup Finals, unlike many other teams in the league. This was possible only with the help of the following hockey legends. Bernie Federko – Inducted to the Hall of Fame in 2002, Federko was the best Blues player ever. When he retired, he had played the most games, made most assists and scored most points for his team. In his honor, his number 24 was retired by the Blues. Brett Hull – This Canadian born American Right Wing played 11 seasons with the Blues and finished first in goals, hat tricks, game-winning goals and power play goals. His playoff statistics were equally impressive with 137 points, 67 goals and 50 assists. His number 16 was also retired and Hull was inducted into the Hockey Hall of Fame in 2009. Brian Sutter – Sutter played 12 seasons with the Blues. Considered as one of the best to ever wear the Blue note, Sutter was the longest-tenured captain in Blues’ history. The Blues play their home games at the Scottrade Center, which is located in downtown St. Louis. This 19,150 seat arena will host Blues’ playoff games when the team makes it into the 2017-18 NHL playoff season. The team has consistently made the playoffs since the 2011-12 season and with star players, Tage Thompson, Jordan Schmaltz, Jordan Kyrou, Zach Sanford and Ivan Barbashev, they are likely to be in the playoffs again. If you want to see their games live then get your St Louis Blues playoff tickets from here. Our process for purchasing cheap St. Louis Blues tickets is simple and fast. There are so many online ticketing sites, that it can be hard for customers to find the right place to buy St. Louis Blues tickets at the cheapest price. At ScoreBig we think of our customers first and foremost. We offer daily deals for St. Louis Blues events, so our customers can get the best seats for the best prices. ScoreBig will always go above and beyond to offer the cheapest St. Louis Blues tickets on the market. The St. Louis Blues schedule above, displays all available events for 2019 and 2020. Once you find the event that you would like to go to, click the red “Get Tickets” button. It is located on the right-hand side of the event listing, it will take you to an St. Louis Blues event ticket page. ScoreBig's event ticket page will display all available St. Louis Blues tickets for that event. On the event ticket page to help with your search for the right St. Louis Blues tickets, use the filters at the top to select quantity, price range, and more. There is also an interactive seating chart so you can pick where you want to sit. When you are ready to buy a ticket, click on the listing, and you will be directed to ScoreBig's checkout page. Upon completion of the information fields, your order will be processed and your St. Louis Blues tickets will be delivered via email, mail, or to your mobile device. What makes ScoreBig’s site stand out from the rest? We are constantly analyzing our competitors to improve our site, service, and prices. ScoreBig.com employees strive to offer the best process and experience to buy cheap St. Louis Blues tickets. Our goal is to get you the best seats to St. Louis Blues events. We offer daily discounts on our site and for special promotions check out our newsletter. If there are no St. Louis Blues events currently available, you can use our search feature at the top of the page to see a list of all popular events going on near you. No matter your price point, we have all the best deals and discounts on St. Louis Blues tickets. For more information on prices of St. Louis Blues tickets and the schedule for St. Louis Blues, check out our listings above. The last thing you want to find out is when the St. Louis Blues event you wanted to go to is sold-out. Don’t worry in many cases ScoreBig has affordable tickets to sold out events. We sell tickets from GA all the way to premium seating and parking. Skip the scalpers in the parking lot and get your tickets online from top St. Louis Blues ticket brokers. We get you in all events, buy your St. Louis Blues tickets here from a brand that many trust and rely on for all their ticketing needs. ScoreBig offers a 100% money-back guarantee. If you have been in search of cheap tickets for St. Louis Blues, ScoreBig by far is the best option. That’s why ScoreBig has more loyal customers than any other ticketing site. 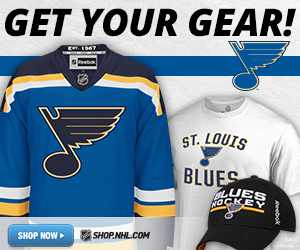 Shop at ScoreBig for safe and secure St. Louis Blues event tickets.